So it's time again to meet inspiring and talented artist. 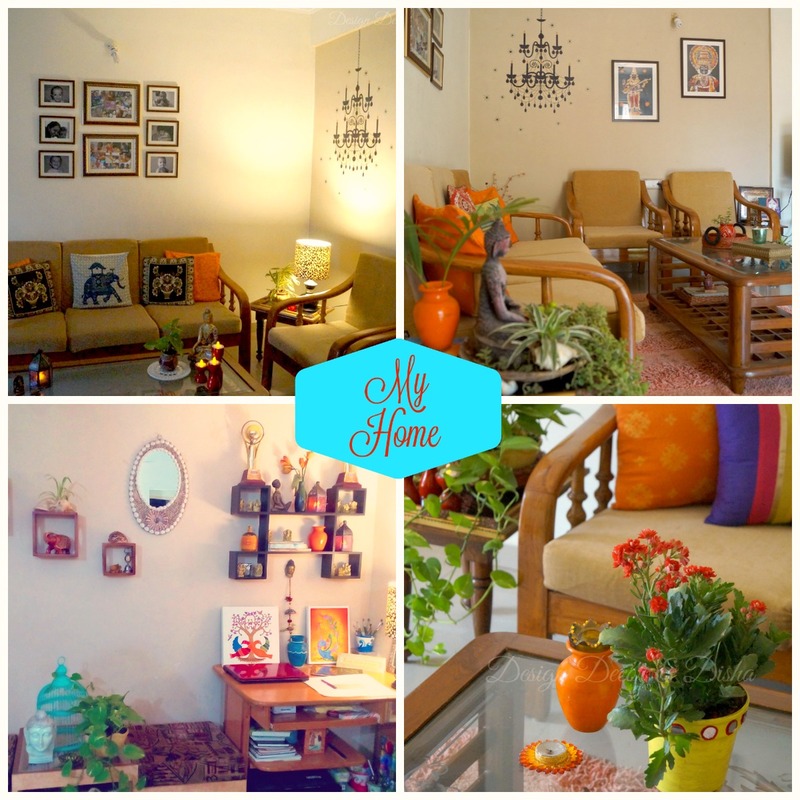 Introducing you to a girl who creates magic with her "Teekhii Chhurii". 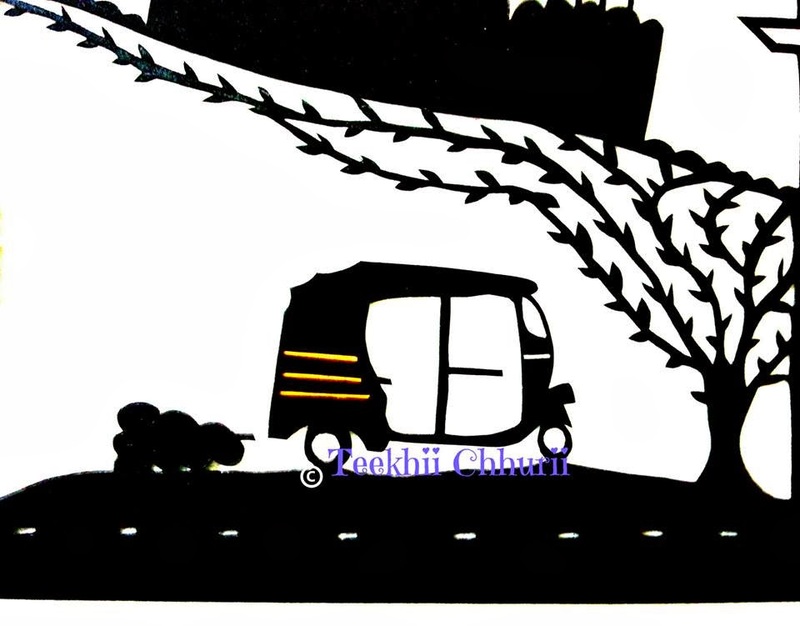 Readers please welcome Pooja Ajmera, a paper cutting artist and founder of 'Teekhii Chhurii'. 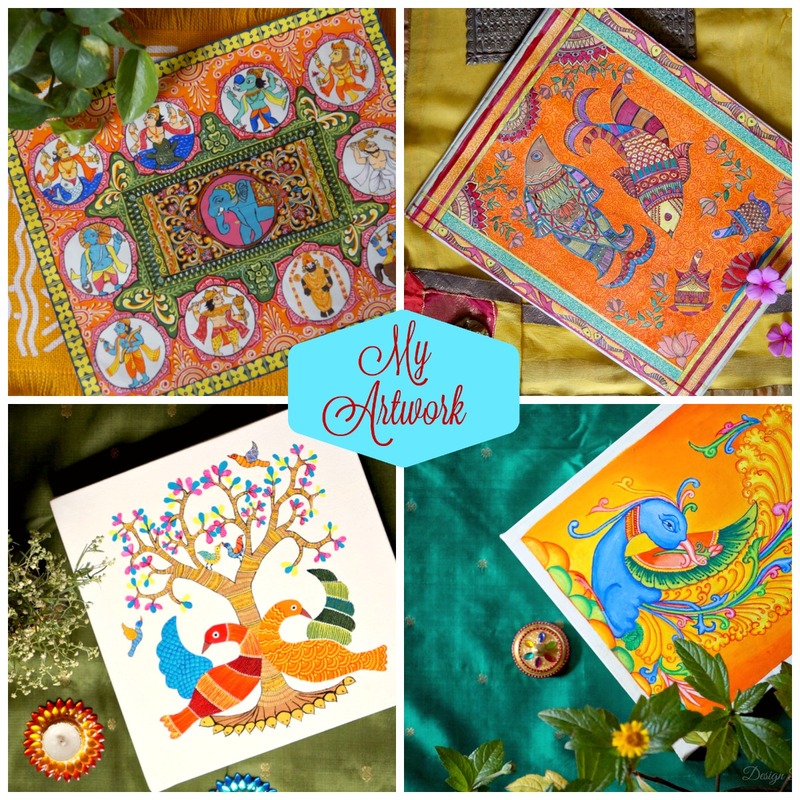 You will be amazed to know that she left her corporate career and followed her heart, her passion for art of paper cutting(Sanjhi). Warm welcome on 3D Pooja, I am very happy to have you here. We are desperately waiting to know more about you and your artwork. Thanks for having me here. 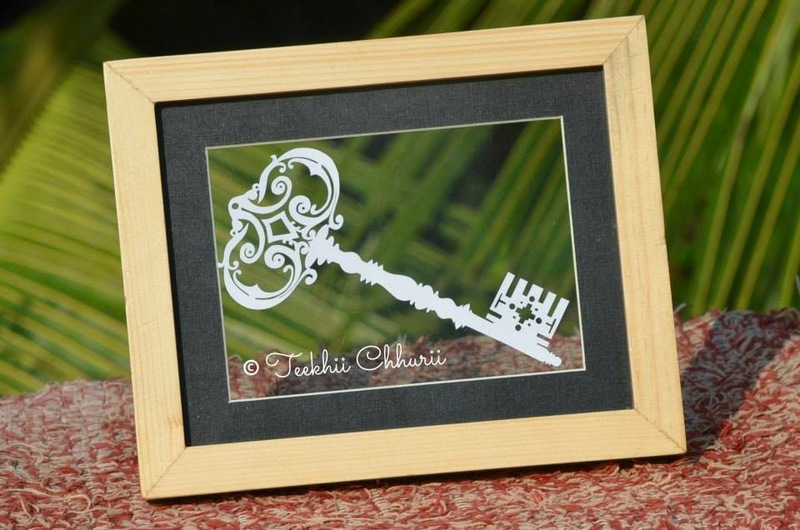 I am a paper cutting artist who started Teekhii Chhurii, where I create one-of-a-kind artwork. I haven't come across this kind of art before. Will you please enlighten me on this. Paper cutting is an art form which is very slow unlike everything else in today’s world. It requires tons of concentration and patience. The paper is hand cut and designs come to alive. I am also trying to revive a dying art form of India called Sanjhi. I am glad to know Pooja that you are trying to keep the age old art form alive. Being an artist I can understand that art is a passion for an artist. So when was the first time you came across this art and how it became your passion. I knew about paper cutting since sometime before starting with Teekhii Chhurii but had never really tried my hands at it. 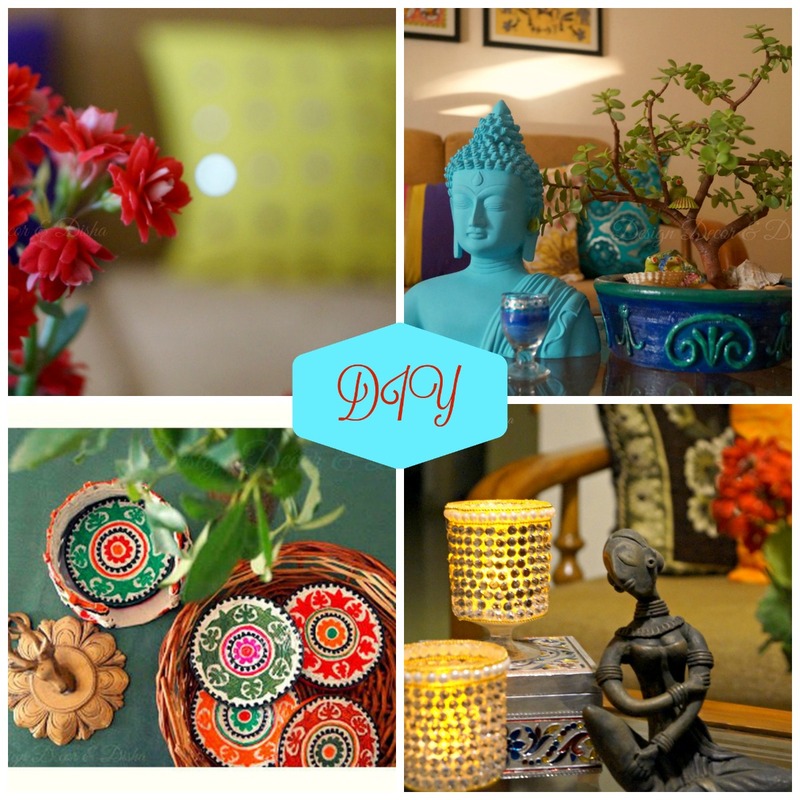 So this one day, when I had to gift a birthday present to my sis-in-law, I thought of creating something unique for her rather than picking just one of the things available at shelf in the stores. I made a papercut out of the design that was there on my bedspread that day and then after finishing it, I created one more design and then one more design and it went on for few days when I realized, this is something which I want to for rest of my life. It was a AH-HA moment for me! Share your experience when you finished the very first project, were you completely satisfied with the result, did you find any difficulty cutting the paper in desired shape and pattern for the first time. When I made my first papercut, I was so happy with it. I was amazed and didn't know I have so much of patience within me. Since it was the first time, of-course it was difficult to cut it as I didn't know the do’s and don’ts of the art. But yes, anything done with love is bound to look great. That art piece adorns the wall of my sis-in-law’s house now. What are your tools that you use for creating such beautiful master pieces. What are the challenges you face as you work with sharp objects. What are the safety measures you use. 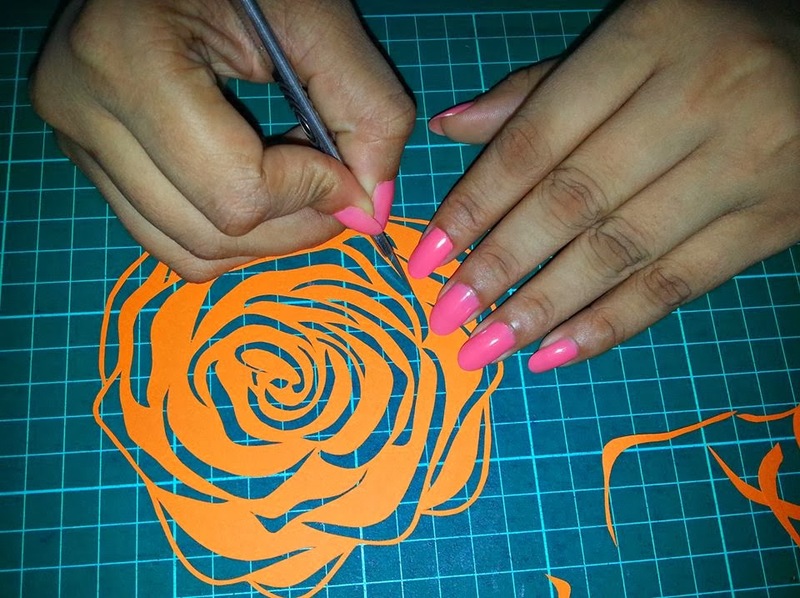 The tools used for paper cutting are very simple. I just use a pencil, a knife, a mat and a single sheet of paper. The only caution to be taken is to be a little careful while using the blade or you might end up cutting your finger. 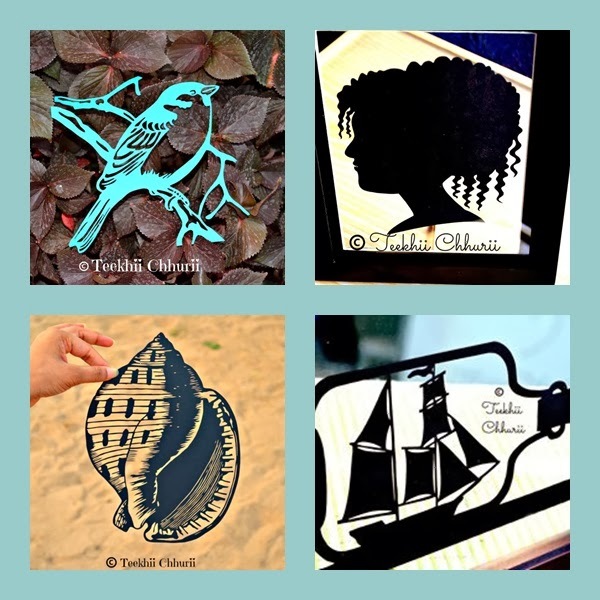 If you look back at the year when you started paper cutting how long have you come and how has been your journey so far. It’s hardly been time, so I can’t really call it a journey but yes, it has been like a ride of roller coaster which was full of ups and downs and I am happy it was that way or else what is the fun when life just goes on a plain road without any turns and hurdles. It has been a good experience so far where I met and interacted with so many good people who cherish the work I do and support and encourage me to move ahead. True that hurdles in life come to make us even better. You have created so many wonderful art pieces. Which one is your favorite and why. All the papercuts I create have a hidden story behind them and hence they are all so close to my heart and sometimes I find it really difficult to let the artwork go. It is extremely hard for me to choose the best one that I made till date because I put my heart and soul in each paper cut I create and only after I am completely satisfied I get them framed. Other than paper passion what excites you and you love to do in your spare time. I love to learn new things. But paper cutting is a very time consuming art form. It requires lots of time to create a single piece. So frankly I am hardly left with time to practice and do different things. As I work on weekends and on all holidays too! I recently learnt tarot card reading and that is taking up all my spare time lately. So sometimes its music, sometimes its jogging or sometimes painting..anything that interests me. You have some amazing pieces of artwork. Can you share where one can see and buy your artwork. 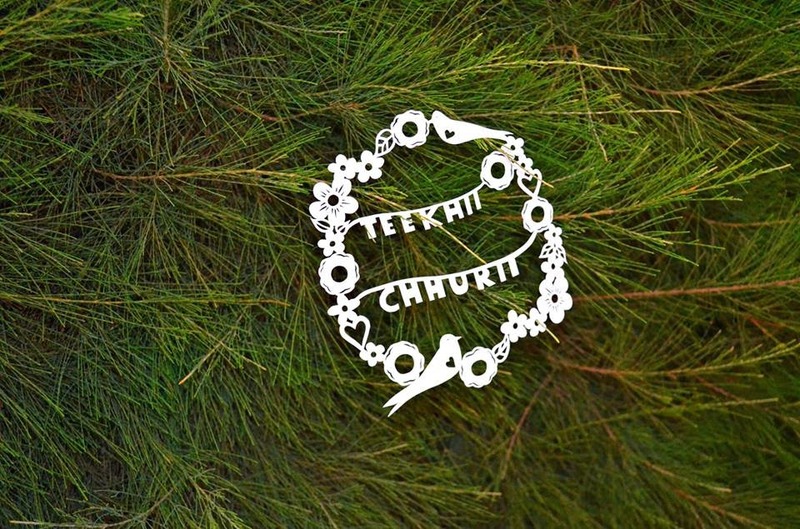 As of now, some of my work is there on my facebook page – Teekhii Chhurii. People can message me on facebook or drop a email at pooja@teekhiichhurii.com and the rest will be taken care of. Do you have any advice for aspiring artists and I would love if you say a word or two for my readers also. All I would like to say is, "Dare to dream and follow your passion. There are no substitutes to hard work. Success will come sooner or later". Thank you Pooja that's a beautiful mantra of successful and happy life. Thanks for taking time out for us and letting us know about this beautiful art form. I wish you a great success ahead!! Folks have a look of her art work on her Facebook page and you will be spellbound. Leave a word or two here in comment section to let her know what do you think of her art work. In case you missed earlier post on Inspiring Eminent Artists Click here to read. Wish you a lovely and creative weekend ahead! !